"Such a true spectacled rat." 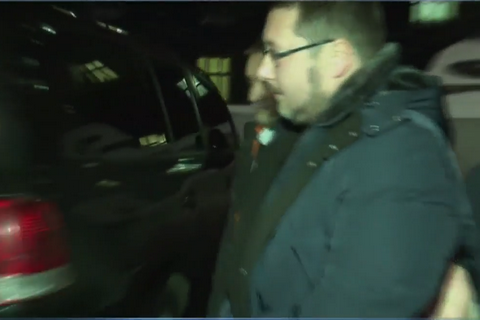 The counterintelligence department of the Security Service of Ukraine (SBU) identified and arrested a suspected Russian spy in the Cabinet of Ministers on 20 December, the department's chief, Oleksiy Petrov, has told Pryamyy TV. "The SBU counterintelligence has stopped the illegal activities of a senior official of the Cabinet of Ministers of Ukraine whom we justifiably suspect of cooperation with the Russian special services," he said. He did not name the detained person but said that he had access to "specific information". "He worked as a true spy. He is a traitor, he was rather proactive transferring information, stealing documents, eavesdropping on the news, siphoning information from his colleagues and diligently handing it over to the Russian special services, his handlers, for whom he worked. Such a true spectacled rat," Petrov said. Later, the SBU press service confirmed the detention of a "Russia special service agent", who worked in the Cabinet of Ministers' secretariat and was recruited during a long business trip. He was officially declared a suspect in a high treason case. The Ukrainian News agency identified the person in question as a deputy head of the Ukrainian prime minister's protocol service, Stanislav Yezhov. Earlier, he worked at the Ukrainian embassy in the USA and the presidential administration. He was in charge of interpreting during meetings with foreign delegations and often did it himself. He started working with Groysman when the latter was elected to parliament, and accompanied him to the Cabinet of Ministers afterwards.